CoinGaming.io announced today that they are the first Bitcoin based online casino to make a content supply deal with Net Entertainment. This announcement came as a shock & shows that Bitcoin based casinos are starting to rise in popularity. As of right now this deal with allow for the CoinGaming platform to have access to over one hundred and fifty different HTML5 based video slots and thirty different mobile slots. The first games that are making their transition over to the casino in the upcoming days is Starburst, Jack Hammer, South Park, Gonzo’s Quest and several others. These are some of Net Entertainment’s most popular titles & it’ll surely allow for CoinGaming to reach to a new height of popularity. All new games that are released by Net Entertainment will also be ported over to this Bitcoin casino as well. The Communications Director at CoinGaming, Mark McGuinness stated that Net Entertainment is one of the leading developers for digitally distributed casino games and that their software is used by the industry’s most successful casinos. Mr. McGuinness noted that this confirmed to them that Net Ent was a for sure thing and that their delighted to now have this platform on their casino. 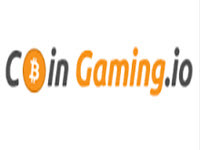 Those who enjoy Bitcoin based gambling can now experience the Net Entertainment software at CoinGaming. It is only available at this casino with no word as to if any other Bitcoin based casinos will be receiving the platform in the future. All of the Net Entertainment titles will be ported over to CoinGaming in the next month.